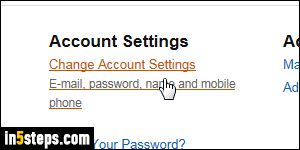 Important: changing the email address associated with your Amazon.com account won't affect anything else: you won't lose your order history, content purchased for your Kindle Fire tablet, or gift cards! This only affects your credentials (the way you sign in), so you'll probably need to log back into your Kindle for PC apps or mobile devices that use the Amazon or Kindle reading app. Picking a different email address does not create a new account: that is also why you cannot have two Amazon accounts with the same email! 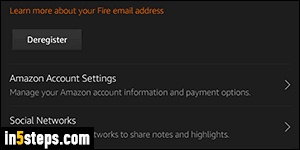 If you're on an Amazon tablet: change email address from your Kindle Fire. You can also change your device's email address to something easier to remember. Otherwise, use a desktop browser log into your Amazon account using your current email address and password. 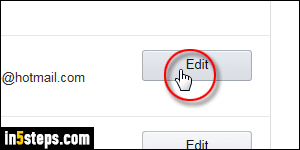 Once signed in, mouse over the Your Account dropdown button near the top right corner of any page, and select Your Account. Scroll down to the Settings section on the next page. Click on the Change Account Settings link. 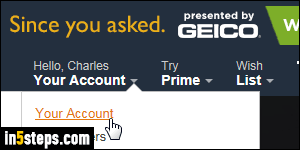 Login once more if needed (just a security measure to prevent changes to your account if you left your computer unattended, while signed into Amazon). Note: remember that location and link - this is also the one you use to change your default credit card, change password, add a cell phone to your account, or even change your name! In the next screen, click on the Edit link next to your email address. Type your new email address twice, the second time as confirmation. 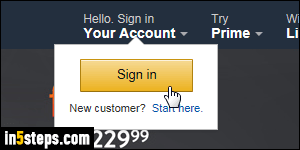 Re-enter your Amazon account password, once again for security reasons. Then, click on the Save changes button. You will get an "Email address changed" confirmation message, and be redirected to your account settings page. Remember to use this email address to login, and update your web browsers' saved password! 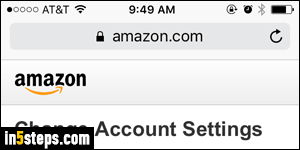 Bonus Tip: for completeness, I checked on changing email address from the mobile Amazon app for Android or iOS (iPhone / iPad / iPod touch). It doesn't look like this is currently possible, so you'll have to go through the Amazon website. On your iPhone, you automatically get the mobile version of the website. From the homepage, scroll down and tap "Your Account" near the bottom. Login, and tap on "Change Account Settings" in the next screen!